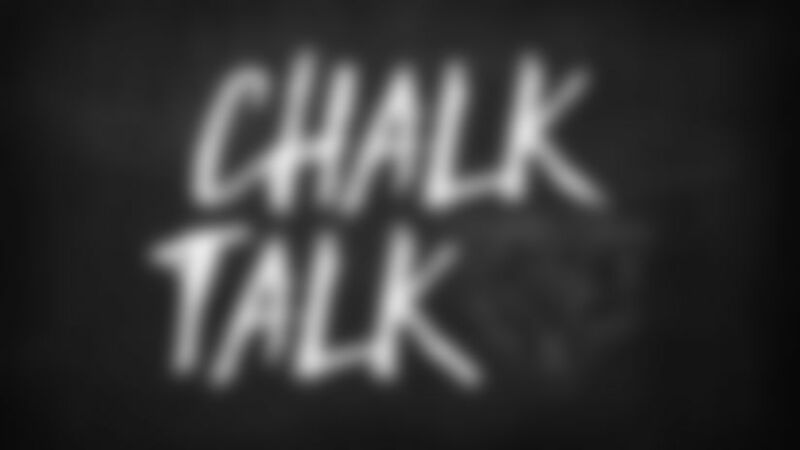 Chalk Talk: Did Nagy consider going for 2? I know that Bears coach Matt Nagy has decided to go for two-point conversions in a couple of situations this season. Did he give any thought to doing that and going for the win instead of overtime at the end of the Giants game? Bears coach Matt Nagy told reporters after Sunday's game that he was not tempted to go for two after Tarik Cohen threw a 1-yard touchdown pass to Anthony Miller as time expired in regulation. I'm sure at that point he felt like the Bears had all the momentum after they had erased a 10-point deficit in the final 1:13 of the fourth quarter and he preferred to take his chances in overtime rather than let one play decide the game. Said Nagy: "You could look back after all the stuff happened and say, ‘Man, I wish we would have went for two.' But we all felt pretty convicted. We actually talked about it before. We try to prep ahead and [say], ‘[If] we go down and score, one or two?' We all talk about it, and I ultimately made the decision to go for one. I felt like we were in a good spot with our team. You could kind of feel where we were going." Why did Matt Nagy call a timeout late in the first half against the Giants? The decision cost the Bears three points and the momentum heading into halftime. For those who don't know, Matt Nagy called timeout with :17 left in the first half and the Giants facing third-and-23 from their own 30. On their next two plays, New York gained 22 yards on a Saquon Barkley draw and nine yards on an Eli Manning pass to Rhett Ellison, setting up Aldrick Rosas' 57-yard field goal as time expired in the half. Nagy has been criticized for calling the timeout by media and fans, but I have to say that I absolutely loved the decision. He was hoping to force the Giants to punt and perhaps score again after a blocked punt or a short punt. How many years did we spend lamenting conservative decisions by Bears coaches who would take a knee rather than try to score at the end of the first half, or more broadly, focus on trying not to lose a game instead of trying to win it? To me, Nagy is such a breath of fresh air in that he's aggressive but also is smart and takes calculated risks. Like when he had 332-pound defensive tackle Akiem Hicks carry the ball for the first time in his life on fourth-and-goal from the 1. Hicks scored a touchdown on the play that gave the Bears a 14-7 lead. Or the final snap of regulation, where Tarik Cohen threw a game-tying touchdown pass to Anthony Miller. Both were brash, aggressive calls that paid major dividends. Getting back to the timeout at the end of the first half, the Bears had just sacked Manning on back-to-back plays and had permitted the Giants to gain a mere 72 yards on 24 plays up to that point. So, IMO the timeout was a smart, calculated risk. It only backfired because the defense allowed only the second rush of more than 18 yards by a running back all season, the defense permitted the Giants to stop the clock with :01 left by completing a pass to the sideline, and Rosas kicked the longest field goal in Giants history. Has an NFL player ever recorded a sack and a rushing touchdown in the same game like Akiem Hicks did against the Giants? Akiem Hicks became the third player in NFL history to produce a sack and a rushing touchdown in the same game. The other two were Bears defensive tackle William "Refrigerator" Perry in a 36-0 win over the Falcons on Nov. 24, 1985 and Chiefs defensive end Shaun Smith in a 42-24 victory over the Seahawks on Nov. 28, 2010.